I posted about some of these items a few months ago, but now we have much better pictures and some more information. In particular, we now know that these will be exclusives only available at Star Wars Weekends (from May 17 to June 9th), which I guess means that those of us not attending will have to resort to eBay to get our hands on them. 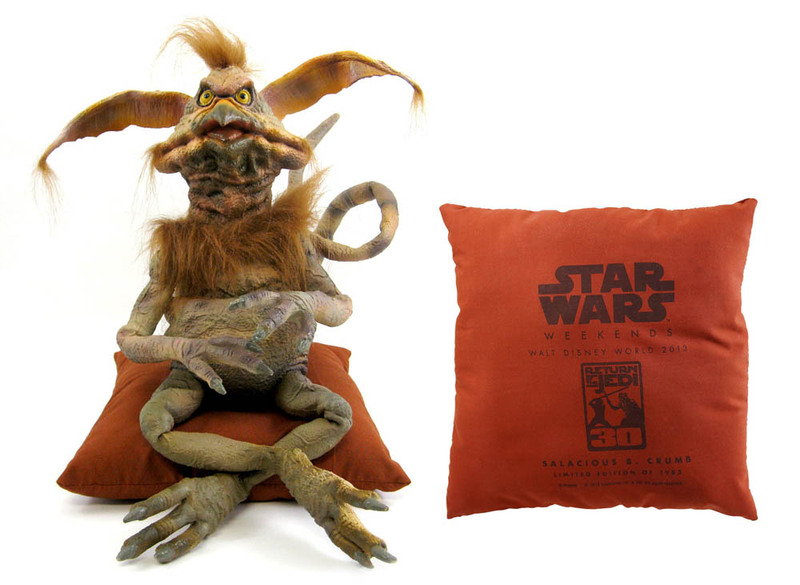 One of the more interesting pieces is the Salacious Crumb puppet above. If they’re not too expensive, I might get a couple of them. I can think of a lot of comedic potential for having a posable Crumb puppet around the house. 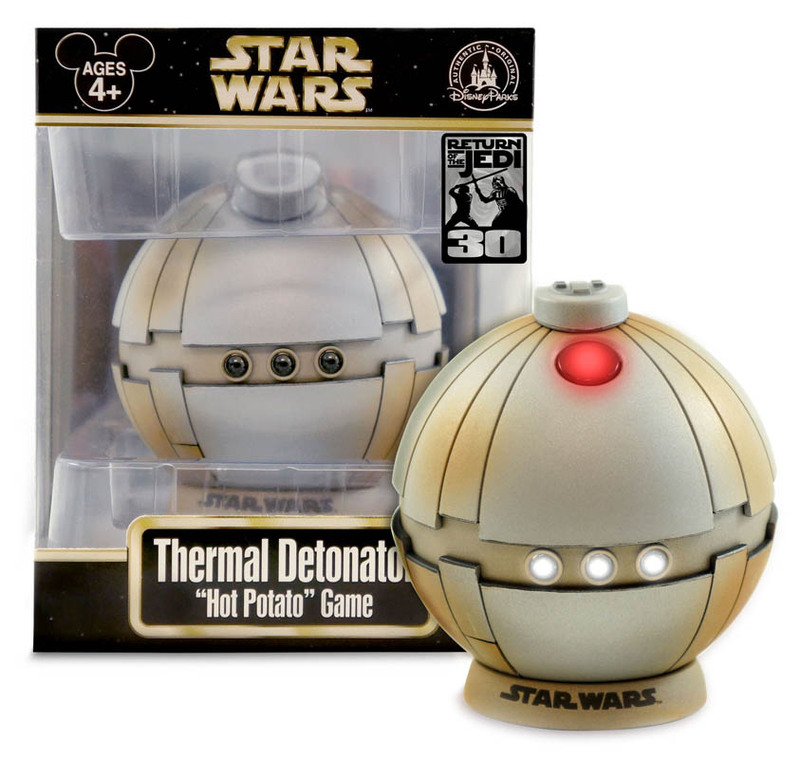 This Thermal Detonator “Hot Potato” Game looks interesting, although I’m sure as a game it’s relatively simple. It seems almost like a Clone Wars animated style instead of what we saw in Return of the Jedi (which was shiny metallic silver). 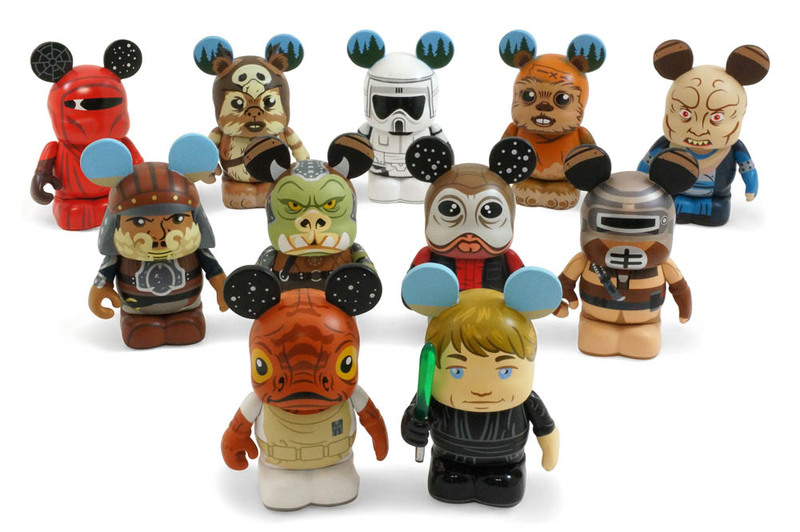 I have yet to buy any of these Vinylmation figures, so I didn’t realize that they would be releasing a number of Jabba’s Palace characters, including Skiff Guard Lando, Gamorrean Guard, Leia as Boushh and Bib Fortuna. 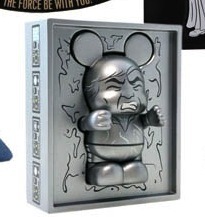 I don’t know if these are actually Star Wars Weekends Exclusives (my guess would be no). 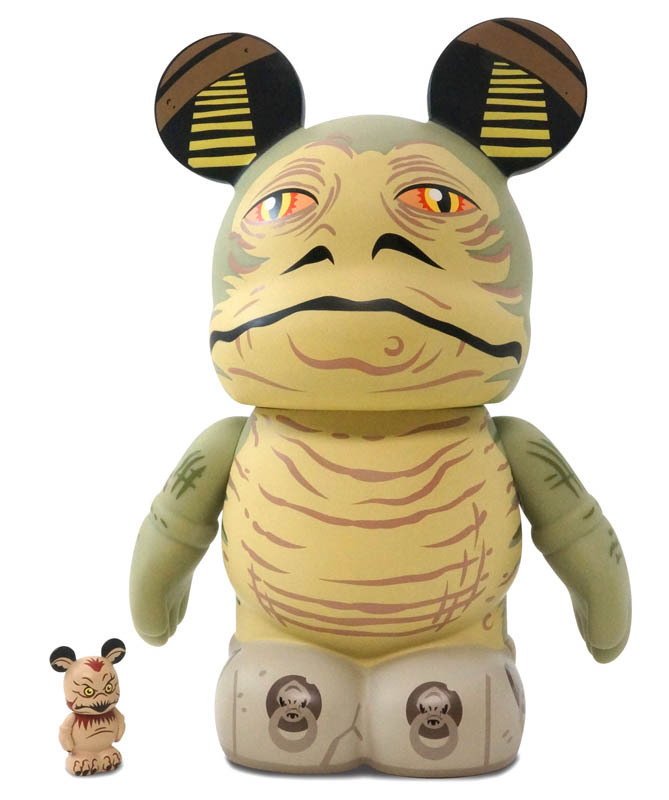 But the most exciting one is of course the Jabba and Salacious Crumb set, which is going to be an exclusive. I guess Jabba will be 9″ tall, which is a lot bigger than the normal figures (which are around 3″ tall, I believe).